Based on our experience developing apps, we have created this very focussed training program to take you from start to finish developing a complete cross platform mobile web app. HTML5 based mobile web apps is a fast growing area of digital publishing and our program will enable you to develop cross platform html5 apps for iPhone, iPad or other smart devices. In this program we will cover creating webservices, basic PHP, JQuery, JQueryMobile and Phonegap. Enable web service and Ajax client to work across domain. 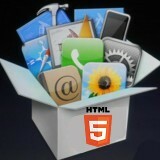 Install the Hello World app to IPhone Device. Create app to consume data from JSON webservice. Working with various framework controls to display multiple types of information. Open a detail screen based on selected list item. Retrieve data from Webservice to display in Listview and detail screens. Storing data on device offline. POST photo from camera or library to webservice. Convert HelloWorld app to phonegap and install on IOS device. Chapter 3 and 4 to Phonegap application that can be submitted to app store.